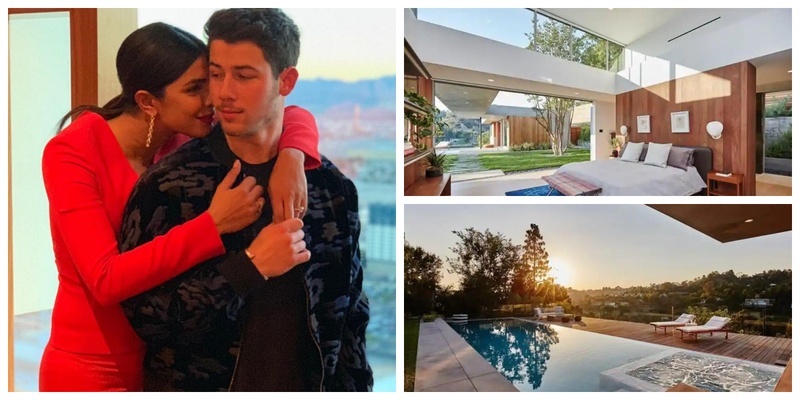 Nick Jonas just bought a $6.5 million Beverly Hills mansion for him and Priyanka Chopra! I can’t help but agree that Priyanka Chopra’s fiancé is all sorts of #BFGoals #FiancéGoals and #LoveOfTheLifeGoals! Why? Well from from shutting down the whole Tiffany & Co store in the middle of the day to get his Lady Love the perfect engagement ring to all the cute and mushy PDA’s and romantic outings the guy has been the dotting fiance! And just when I was wondering he has outdone himself, he went ahead and shocked the world! According to TMZ, Nick bought a $6.5 million pad in Beverly Hills Post Office, Los Angeles with the most sought-after pin code—90210. *Is this dude for real? * The home has five bedrooms, four bathrooms, an ungated pool that overlooks the hills and a total area of 4,129 square feet. The report also says that Nick made the purchase a few months before he proposed to Priyanka in July and is in close proximity from the palace of the proposal. Well well, the pop singer sure does know how to keep the crown of his lady high. Priyanka and Nick are expected to tie the knot in Jodhpur in December. She is expected to host a bridal shower in New York in October, followed by the nuptials in Umaid Bhawan in Jodhpur with a guest list of 200 people, according to reports. And if you are wondering which designer will the actress choose for her bridal lehenga, the a lot of rumours suggest - Manish Malhotra. Although, it’s still up for debate and I guess we’ll just have to wait and watch!